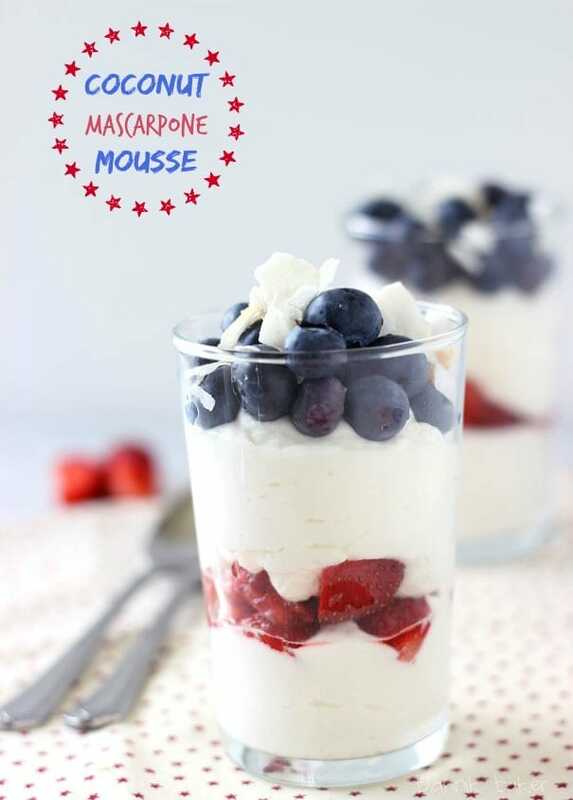 Light and creamy Coconut Mascarpone Mousse served with fresh berries in this Red, White and Blue recipe! So I can’t believe this is my first Red, White and Blue dessert this year. We are a little under a week to July 4th and clearly I’ve been a bad bad food blogger and not shared any ideas with you in advance. 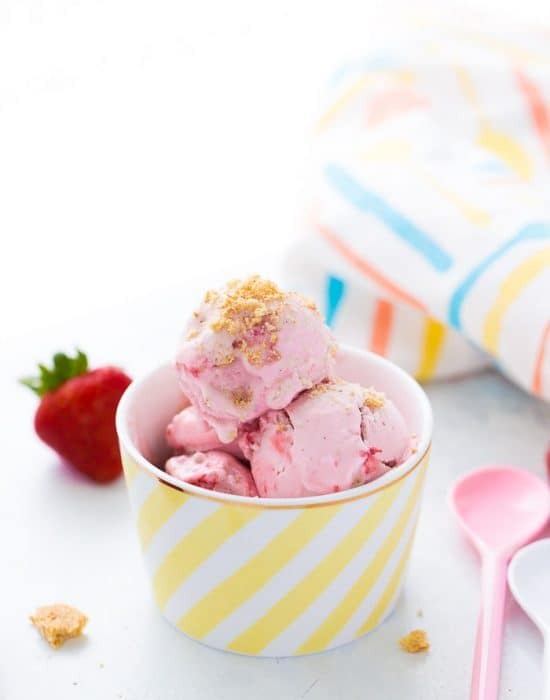 You see life has been hectic and I have just been busy making mini pineapple lime mojito cakes and hot fudge peanut butter swirl brownie sundaes (all of which are perfect summer treats!) but totally forgetting that July 4th is just around the corner. Forgive me?? Thank you!! I am going to attempt to fix that this week starting with this coconut mascarpone mousse. I love making mousse! Especially during the summer when no one is in the mood for long baking sessions. No-bake desserts become a quick alternative and this mousse is soon to be your next favorite. 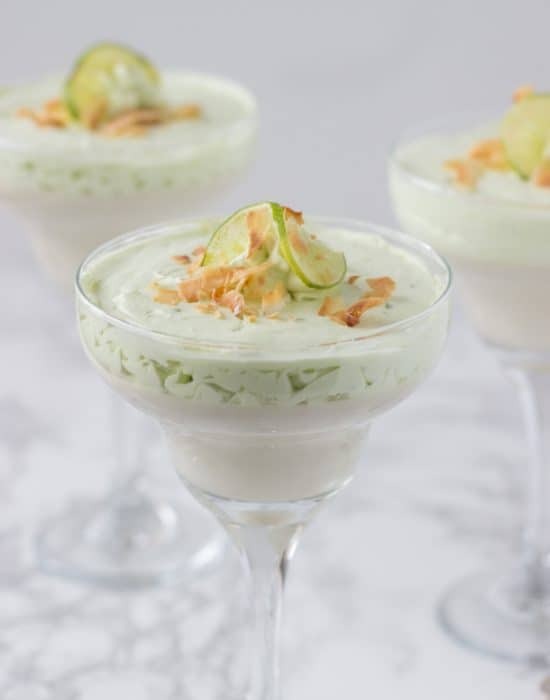 It’s a light coconut mousse, infused with coconut milk and coconut rum (if you desire!) with creamy mascarpone cheese. I love the flavor of mascarpone cheese because it is a sweeter and less tangy alternative to cream cheese but oh so rich. Making this mousse just the perfect texture for a light yet indulging dessert. 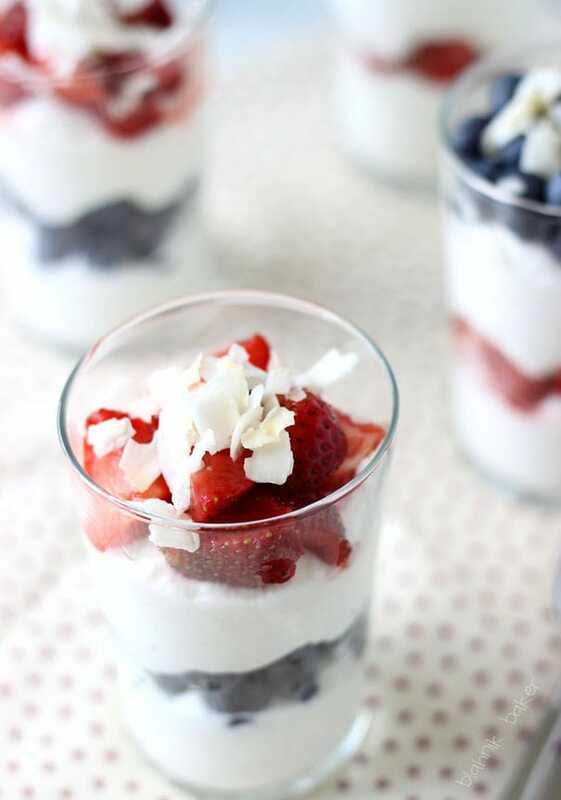 Serve with layers of strawberry and blueberries to get an elegant red, white and blue dessert. 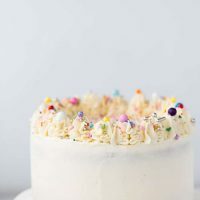 So as you plan for your July 4th festivities this year, consider making this easy coconut mascarpone mousse for your guests! It will be an instant favorite. 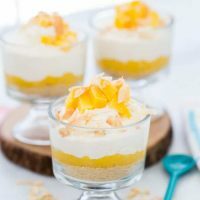 An easy no-bake creamy coconut mascarpone mousse that is light and perfect for any summer picnic! 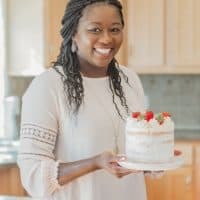 Using an electric mixer, whip the heavy cream with powdered sugar and vanilla extract. Beat until cream thickens and forms thick peaks, about 3-4 minutes. Transfer to a small bowl and refrigerate until use. In a medium bowl, beat the mascarpone cheese, coconut milk and coconut extract and coconut rum if using until just combined. Using a rubber spatula, fold in half of the whipped cream until just combined. Add the remaining and repeat until just incorporated. Chill mousse for at least an hour before serving. Spoon into cups, jars or ramekins and top with fresh berries. These are seriously the cutest things ever! I need to make these for the 4th of July! I wish I was having a party! They would be perfect. I haven’t gotten out anything red, white, and blue yet either! I’m working on it. 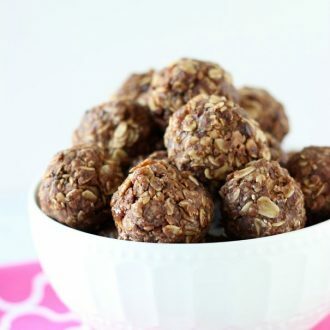 🙂 These are perfect for 4th of July or any time this summer — no-bakes are the best, and I love that coconut-mascarpone combination! 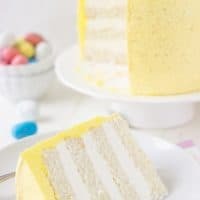 I made something similar this weekend, but use cream cheese instead of the mascarpone. 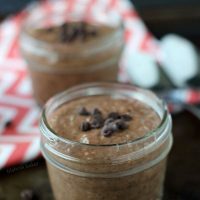 I definitely need to try this next time because I love coconut milk and the addition of the mascarpone sounds incredible! Looks delicious! Perfect for the 4th!! 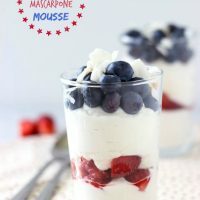 I love your Mascarpone mousse, it offers the perfect creaminess accompaniment to the fresh berries and it doesn’t seem to be too sweet, which is awesome! Z, I LOVE these!!! oh my gawd. . mascarpone cheese is my fave!!! and you added coconut milk and coconut rum?!! Fabulous!!! LOVE! I’m totally in the same boat as you! I have a roundup that I need to put together for 4th of July and seriously, it probably won’t be up until Monday or Tuesday of next week. What?!? Julie it’s been so crazy all over. I hope you get your roundup up next week. To be honest, that is when people are looking for ideas. At least, I will be looking then for our 4th of July party. LOVE this! 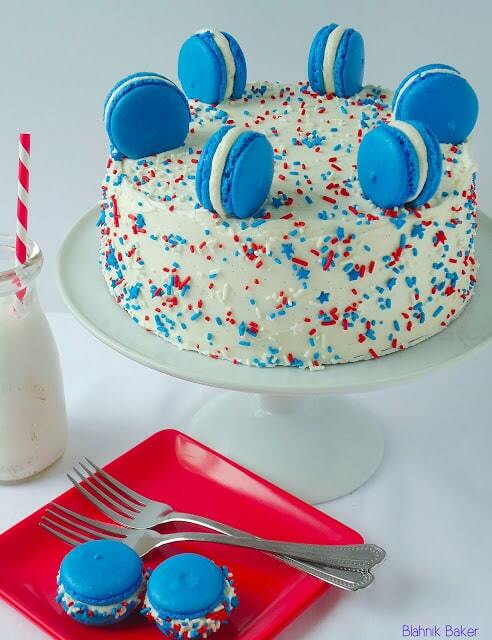 I need to try making some patriotic desserts…we are having a 4th of July party! Yes, you need at least one patriotic dessert lol! I am failing at the red, white and blue-ing this year also! I guess there’s always next week? Yikes! 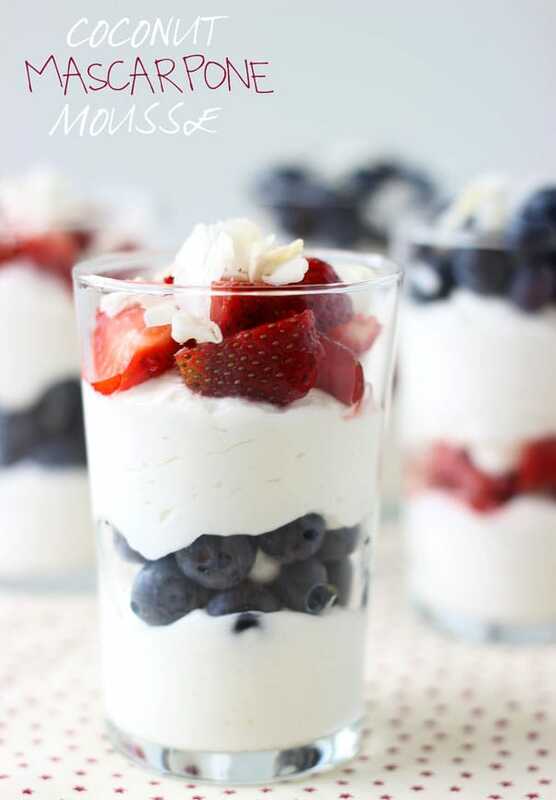 Love these mousse parfaits! Such rich flavors cut by those sweet tart berries! I’m looking for an easy dessert to take to a friend’s house on Friday, Zainab, and I think this is going to be a strong contender. Never mind that I’m not in America, the Australian flag has red white and blue in it, too! Perfect! 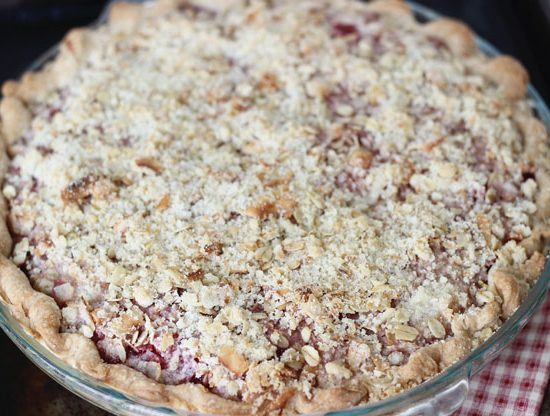 Perfect festive dessert for July 4th! Haha, bad food bloggers untie 😉 I always miss themed foods! Good intentions, bad follow through … every time. You made up for it with this incredible mousse! 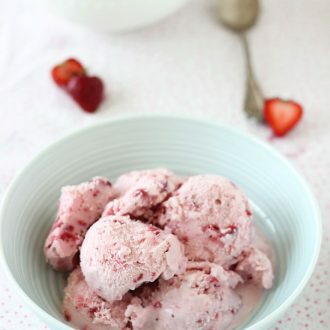 So thick, so creamy, and yet so light! It pairs beautifully with the berries. 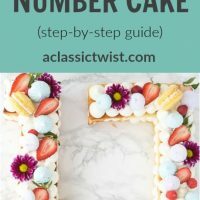 In the summer, especially at picnics and BBQ’s, everyone likes the lighter dessert options and this one fits the bill perfectly! Hahha I know right? Thanks for making me feel better lol! I can’t even begin to tell you how much I love coconut milk, rum and mascarpone cheese, Zainab. 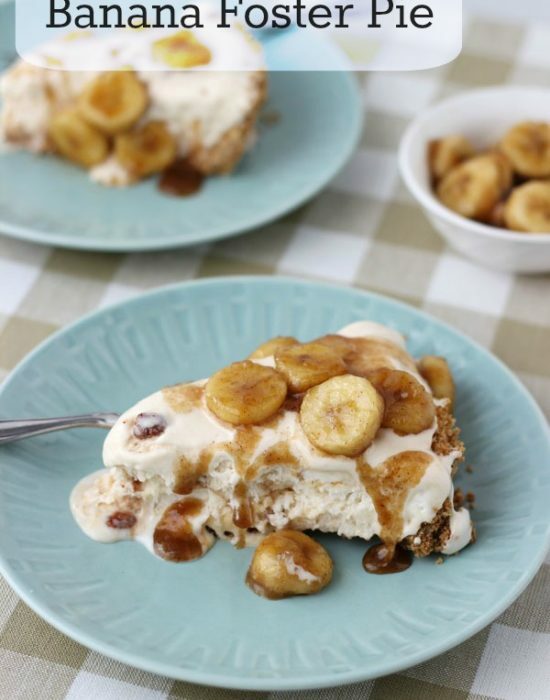 For you to put them all together in one recipe, it’s like you created this just for me! 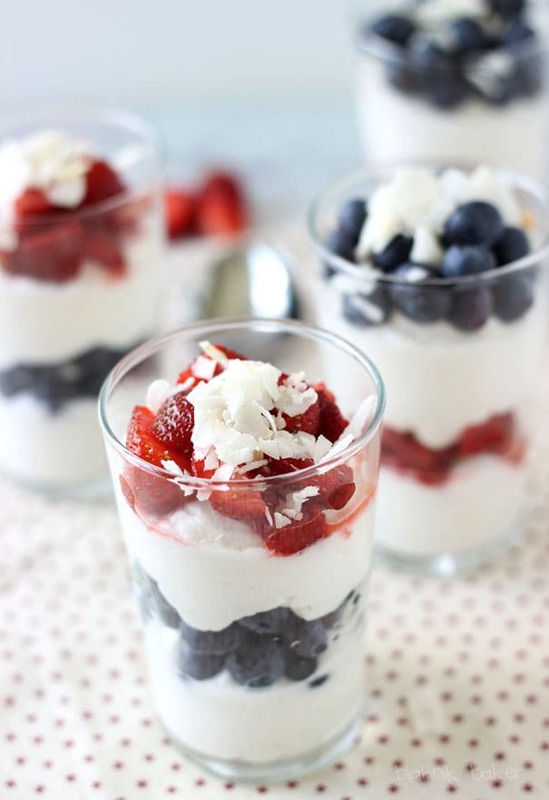 This looks so creamy, lovely ‘n perfect for the 4th! Love your delicious festive mousse!!! Love this. Something I think I actually have the skills to make. yay! Pinned! Oh YUM! Definitely need to try this. So pretty too. I pretty much want all the coconut all the time. This sounds divine. Pinned! Thank you Chelsea!! I’m obsessed with that oreo brownie!!! I love that you added coconut milk/extract the the mascarpone. That sounds like the most amazing combo!